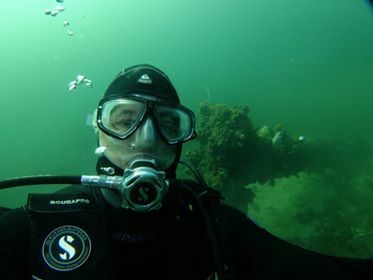 Historic anchor discovery at Edithburgh, South Australia | Marine Life Society of South Australia Inc.
On 5th of February this year, “Scuba Steve” Simmons and Steve ‘Robbo’ Robinson dived at Edithburgh, South Australia. They both went for a scooter dive from the jetty, as they regularly do. They tend to go looking for crabs or other sea life, or just exploring. They just head off together in a random direction. On this occasion, they chose to head north-east and, after a while, they fell over a large anchor. 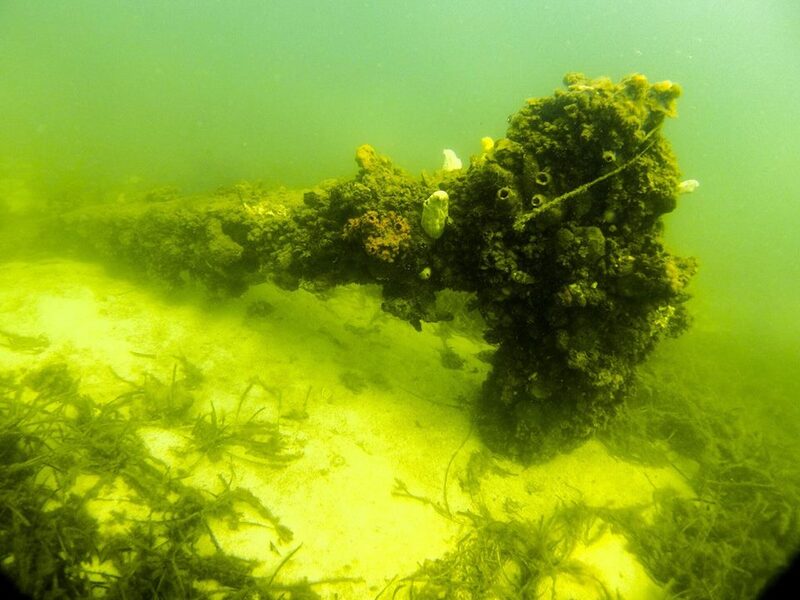 Although SS had done many dives out to this area before, he had never seen this anchor. Neither had Robbo, nor had they even heard of it. 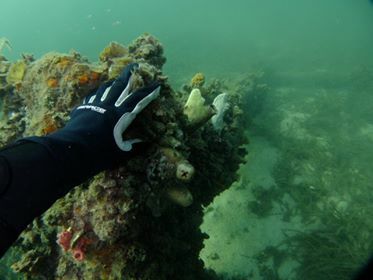 On 2nd March, they both headed out to revisit the large anchor and get some photographic proof about it. 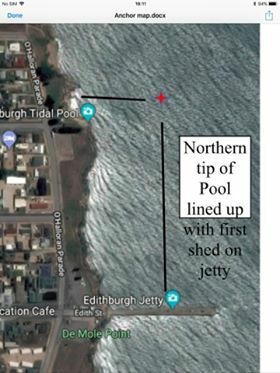 He later added, “I’m considering whether we should put a buoy on it, but I’m concerned that boaties would use it as a mooring, which may cause damage to the marine life on it. The transits we are using are the very northern point of the blue wall of the pool and the first shed on the jetty. Steve Simmons went back out to the anchor on 10th March and he is confident that he could find her whenever he wants to now. He thinks that the top fluke has been cut off, definitely not bent over (maybe made that way??). He’s told the progress committee of Edithburgh about it. They are very excited about it, not for historic value but for use as a new dive site. They have asked Steve to place a guide line from a sea pool pylon to the anchor, which he is happy to do. It will then be marketed as a dive in the local newsletter and possibly the Country Times. Steve says that there are no obvious distinguishing marks on it. It’s around 3m for the cross bar, 4m for the spine and approx. 1.8 m for the single fluke, which sits around 1.2 m off the bottom. The local rumour is that a fish man in the 70s dropped it there. 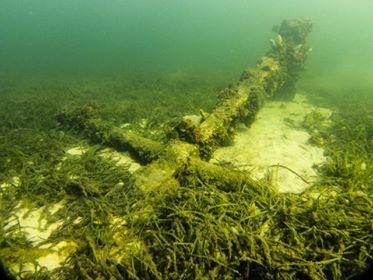 A region ship wreck expert believes it’s been placed as a mooring anchor and suggested it could hold a boat of 2000 ton. He suggested that Steve looks for another in line with it to the north as they often placed mooring anchors about 200m apart and held the ship in between them. Many thanks to both Steve Simmons and Steve Robinson for sharing their great find with me (Steve Reynolds). Many thanks also to Mark Staniforth, PhD. FSA. M.ICOMOS, Adjunct Associate Professor, Flinders University for his input. Get down to Edithburgh and check out this latest discovery.